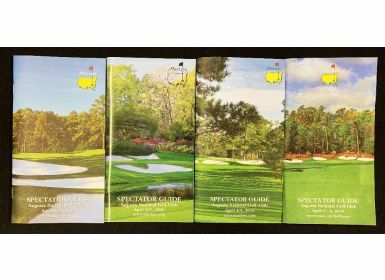 Spectator Guides from four of the Masters Tournaments. The guides are for 2006, 2011, 2012 & 2018. The first three are in excellent condition but the 2018 guide is only in fair condition with some light creasing.